The studies related to the inception and creation of this universe have been an all time favourite with the scientific researchers as well as the masses. Ever since humans learnt ways to dig out facts, various theories have come up that explain the hidden mysteries behind the formation of this universe. However, only few of these theories were accepted and recognised, like the famous Big Bang theory. With gradual advancements in the scientific research field, some other important theories have also made their mark on topics related to different components of the universe. 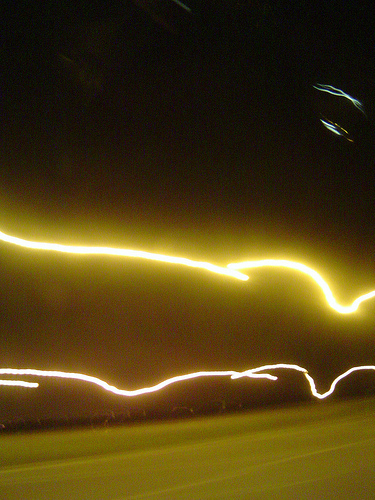 One of the most interesting theories have been those related to the speed of light. For decades now, the theory of travelling faster than the speed of light has the focus of research for many scientists, and is truly considered as an accepted scientific belief than just a mere theory. This concept has further cemented, courtesy science-fiction movies and books that show people zipping from galaxy to galaxy, performing extravagant adventures and gathering the attention of us all. Remember Back to the Future? The notion of travelling faster than light carries the anticipation that the human existence may one day reveal the yet unanswered questions regarding the enigma of universe. 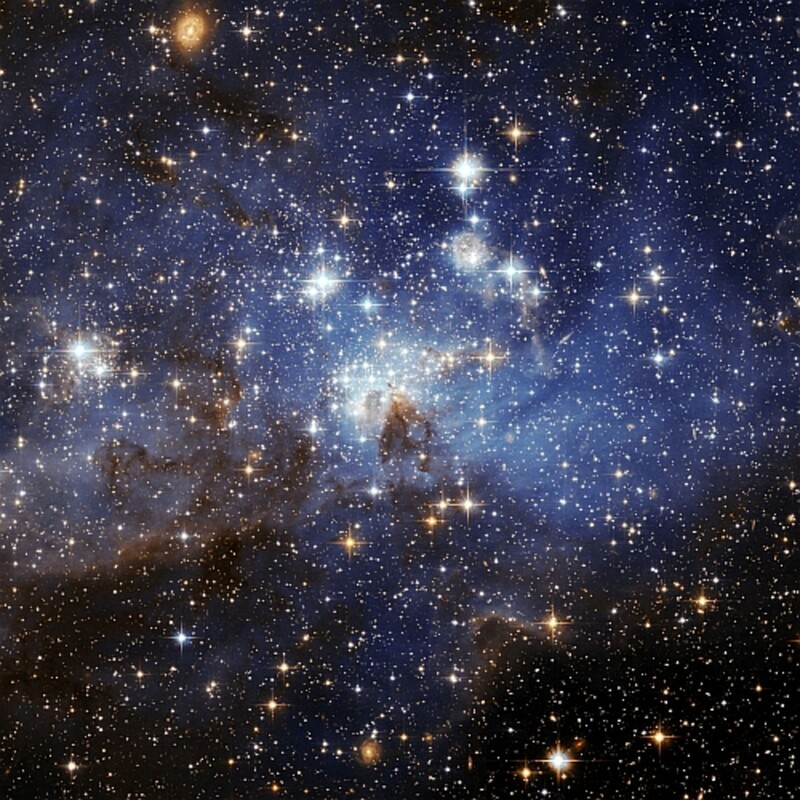 However, to travel faster than light, there are few important challenges to be faced first. One of the most important challenges is of the Special Relativity theory which says that speed of the light - (roughly 300,000 km/sec (186,000 miles) - is the greatest speed at which energy, information and signals can be transmitted, and it is not possible for anything to travel faster than that. It is a fundamental law of physics, and a fact that is built into the architecture of the universe and taught to every student. Since the idea is very significant and there are many advanced concepts of physics which have been based on it, it would require an entirely new overhaul to challenge this theory in order to re-explain the universe. Hence, it is very difficult to find an alternative, efficient method of interstellar travel without infringing the keystone of physics. For example, bound to a speed equal to that of light, with time dilation, travelling to the nearest star would take around 2.3 years. With time dilation, travelling at the speed of light would take a spaceship approximately 11 years to reach the centre of our Milky Way galaxy. To go beyond this limitation of this speed, maintaining a presence outside of our solar system would not be an easy call. But all is not lost yet. The theoretical physicists have found some directions to travel the stars without violating the Special relativity theory. In space, around 20 years ago, astronomers were bewildered, briefly, by distant objects that appeared to go faster than ‘c', the physical constant for light. According to some recent researches and experiments, physicists now suggest that there are certain things in universe which can travel little faster than light. For example, there are certain velocities in connection with the process of wave transmission, which are well capable of exceeding the speed of light. Those who understand the mechanism of wave travel and its velocity must have an idea that the phase velocity of a wave or the group velocity of a wave packet are not in principle restricted below light speed. The speed connected with wave phenomena that, according to special relativity, must never go beyond the light speed, is the front velocity of the wave or wave packet, which generally can be seen as the speed of the first little stirring. Besides, special objects called ‘Tachyon' (from the Greek word ‘tachys', meaning swift) were found by late Gerald Feinberg of Columbia University, which are capable of travelling faster than light. These particles have not been found in experiments as real particles travelling through the vacuum; however physicists predict theoretically that the tachyon-like objects are present and have the capability to move faster than light. The tachyons are also called ‘Quasiparticles' which travel through laser-like media. This is why they exist as particle-like excitations, comparable to other quasiparticles called phonons and polaritons which are seen in solids. The laser-like media is a scientific term referring to those media that have reversed atomic populations, that is, the conditions existing inside a laser. In order to gather clues on the concept of faster-than-light, various experiments are being performed. One of such experiments was performed by the scientists of the Italian National Research Council on microwaves which were sent through a constringe ring-shaped opening onto a large mirror, which sent the waves back and behind the source. On a simple level, a flashing row of lights can display signals that move from one end of the row to the other end faster than ‘c' if the lights flash on and off in time. The time of arrival of these pulses revealed that they moved at a speed five per cent greater than the speed constant ‘c' of light. The experimental work is further discussed and described in a recent issue of the Physical Review Letters. However, the research critiques say that such effect could be an illusion produced by a shorter route through the optical system than anticipated. In another experiment, a pulse of light, which moves into a translucent chamber filled with caesium gas, comes to the speed 300 times than that of the normal speed of light. Physicists suggest that the important aspect is the light pulse leaves the far side of the chamber even before it enters at the near side. With all the progress in faster-than-light speed experiments and researches, there is lot of controversy and debate about these kinds of research experiments since it is difficult to carry out such experiments which could inundated by numerous unidentified errors. Many physicists would say that these experiments are interesting, but that in every case, there will be an ambiguity which will allow nature to protect the causality effect. According to scientists, if we accept the notion of travelling faster than light then it would make the information to be transmitted faster. However with this, strange results would come on surface. For example, for some observers it would appear that the information is received even before it was sent, which at present is a tough thought to digest. It would be a violation of causality and for many researchers it is a troublesome situation to meet with. In spite of the upcoming research experiments and conclusions related to faster than light, for the time being the special relativity command, that neither matter nor information should move faster than light, is the significant basic. And this is not easy to be rejected or ignored. Does gravity travel at the speed of light? Have We Been Visited by Aliens From Other Planets? i do not understand it is too hard!!!!!!!!!!!!!!! 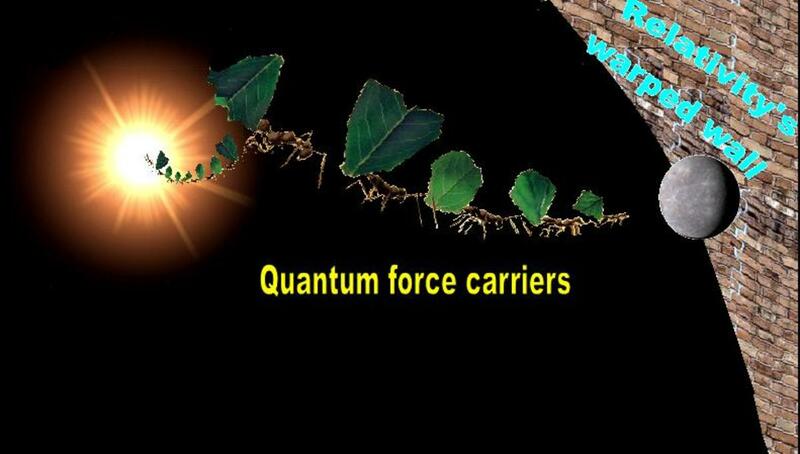 If speed is relative to the observer and the entire envelope of matter in question is traveling at the same speed in context with itself, why would physical science as we have have defined it still conclude that something cannot travel faster than light? I think the object faster than speed of light is just a manipulation through theoritical physics,However,this is 2 say it cannot exist by experiment.but eventhough it will exist,is only God can move faster than speed of light. Yes you can travel faster than the speed of light, it is just like breaking the sound barrier, just that when traveling faster than the speed of light, you would not be visible, because you are traveling faster than visible light, the only problem is how to get an object with mass to that speed, impossibly at the time. As for as being at your point of arrival before you launch, this is true if your target is millions of miles away, when you look at your target of arrival from point of origen, yes you would have been there well before you would be visible there, but not there before you would be able to get there at a slower speed. Travel at faster than speed of light can not be seen because it would be in a dimension that is not visible. No, Naveen, no-one can, since it is most likely absolutely impossible that we ever could exceed "c."
One thought has been that the result would be uncontrolled time travel, and I think that science fiction novels have been built on this idea. But this remains purely--hypothetical? Unsupported? Speculative?--probably all of the above. Good hub. Interesting stuff. Thanks. Bottom Line: Light Speed cannot be accomplished with a space ship..... problem of matter! Excellent article Hassam, my hats off to you! I enjoyed reading this hub, Very informative. If your point...struggle is to show that we can travel faster than light then in quantum mechanics it's a normal proven fact that particles do communicate each other with infinite velocity! This is real future light cone stuff. Great Hub on a fascinating subject. Thanks. 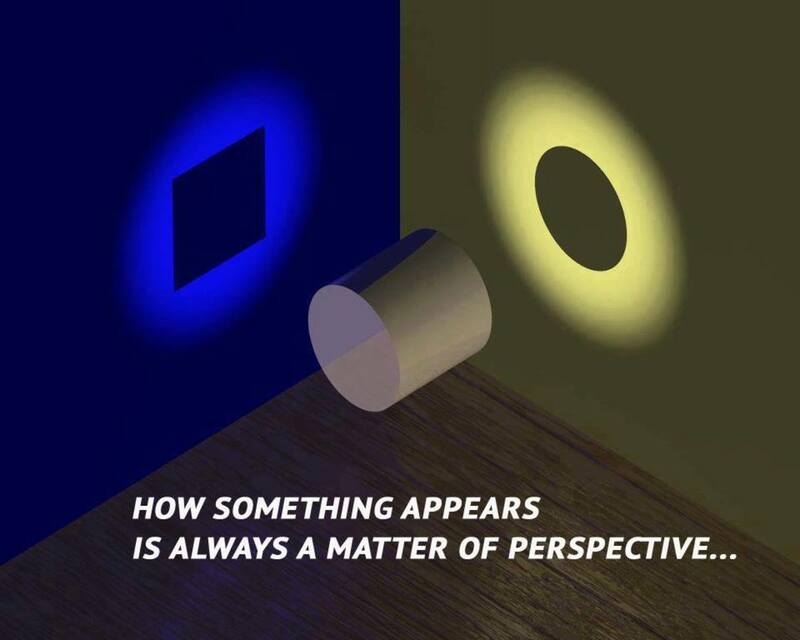 This is mind opening. 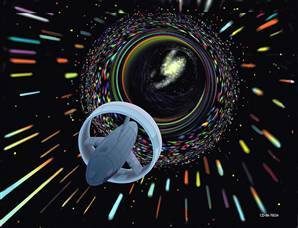 Travel faster than light is hard to conceived but if there is, guess we are heading to a next level of changes. Good text. I think you should stress that a Tachyon is a purely hypothetical construct. You do say that it has not been observed but that's not quite saying the same thing. For example, the Higgs boson search is a crucial and important observation that is currently theoretical but not a hypothetical construct. The Standard Model predicts a zoo of particles and all have been measured except the Higgs so far. You probably know that the LHC with the billions of dollars that nations have spent on it intends to detect the Higgs boson. There is no such testable theory that I know of for a Tachyon.